Why are Indian brands going ga-ga over Dubsmash! Dubsmash used to be the new cool kid on the block. Not anymore. While most of us were finding it difficult to raise our gazes from the constant, pestering whatsapp notifications on our devices, Dubsmash was busy becoming the darling of Indian marketers. 1. #Shopeepaah - Gaurav Gera doing ads for Titli, Shandaar, Pepsi, Pyar ka panchnaama 2, hike messenger, Big Magic Channel and basically everything that can be sold. He's serious about the selling business. He's a 'shopkeeper', after all. 2. 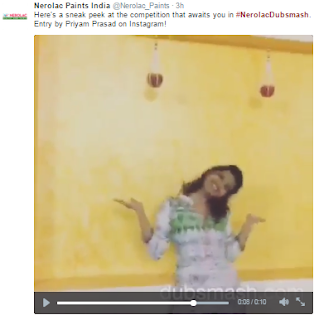 #NerolacDubsmash - A 'textbook' social media campaign of sorts. Run a contest, give a sweet bait and ask readers/ users/ netcases to lipsync to the signature tune of Nerolac. At the time of blogging this post, this campaign is still on. I resisted my urge to upload a few dubsmashes of my own. 1. I eat my words. Dubsmash's still the new cool kid on the block. Facebook is passé. Zuckerburg is answering for his candy crush sins in IIT Delhi, for God's sake. Whatsapp has become the new rumormonger. And besides, everybody hates that jarring notification sound! And Snapchat? Well, not many indians would want their nudies-exchange platform to be taken over by Gaurav Gera. 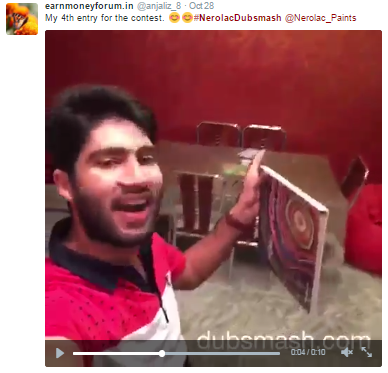 Dubsmash has caught the fancy of all the snooties who love to hate mainstream social stuff. 2. The old-age adage. CONTENT IS KING. 3. Which brings us to, Bollywood! 4. High on Social currency! In any case, being light videos, the dubsmashes are easily shareable on facebook, twitter and even whatsapp. Massive Reach? No problem, chief! Anybody can make a dubsmash video. True to the spirit of Web 2.0 - User Generated Content. The biggest reason why I think dubsmash is working is that we all want to see ourselves being the heroes (and heroines) of our childhood dream sequences of bollywood movies we grew up watching. 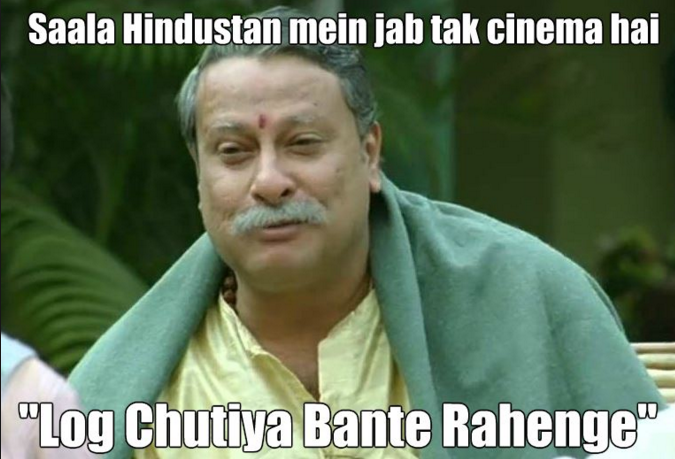 Ramadhir Singh speaketh the truth. 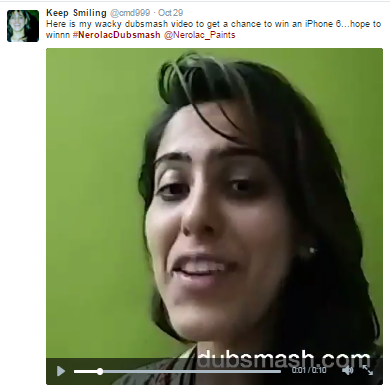 Looking forward to more brands joining the bandwagon of the dubsmash marketing. Till the 'cooler' kid arrives. it slow at the start. however may not be actually made use of by bulk of sites. Interesting read. I used to be a fan of Gaurav Gera's dubsmashes. But am sick of all these promotions already. Guess he has taken the 'shopkeeper' term quite literally, like you pointed out.